Though commuters are totally against the strike, the Aamchi Mumbai Aamchi BEST, an independent citizens’ forum, is in support of the strike as they justified that certain demands of BEST are 'genuine'. 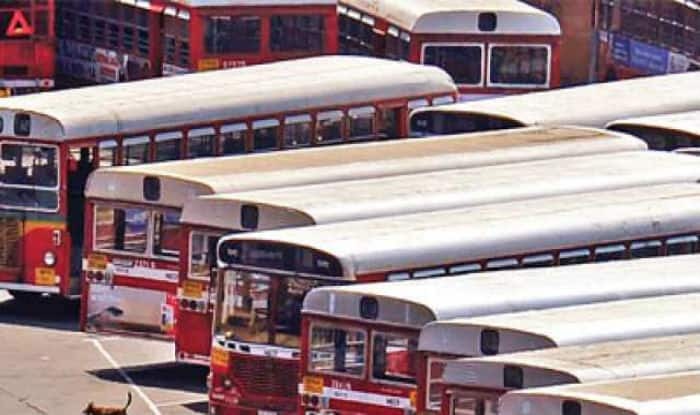 Mumbai: Brihanmumbai Electricity Supply and Transport (BEST) is expected to incur a loss of around Rs 3 crore in daily earnings from the sale of tickets if the employees decide to go ahead with their indefinite strike from Monday midnight. With no bus services, an approximate of 25 lakh commuters are likely to be stranded from Tuesday onwards. Though commuters are against the strike, the Aamchi Mumbai Aamchi BEST (AMAB), an independent citizens’ forum, is in support of the strike as it feels that certain demands of BEST are genuine. AMAB favoured the employees’ demand for the merger of BMC and BEST budgets. Meanwhile, the BEST management has warned the employees that stringent action would be taken if they took part in the ‘illegal’ strike. Internal circulars were issued to the staff in this regard. BEST management also warned that MESMA (Maharashtra Essential Services Maintenance Act) would be invoked in case of a strike. In November 2018, BEST management had planned to bring in 1,000 midi and mini AC buses on wet lease throughout the city. The announcement was made during a budget meeting. However, the leader of BEST Workers’ Union, Shashank Rao, had disapproved the idea of wet leasing, saying the privatisation scheme in BEST would result in workers risking their jobs.